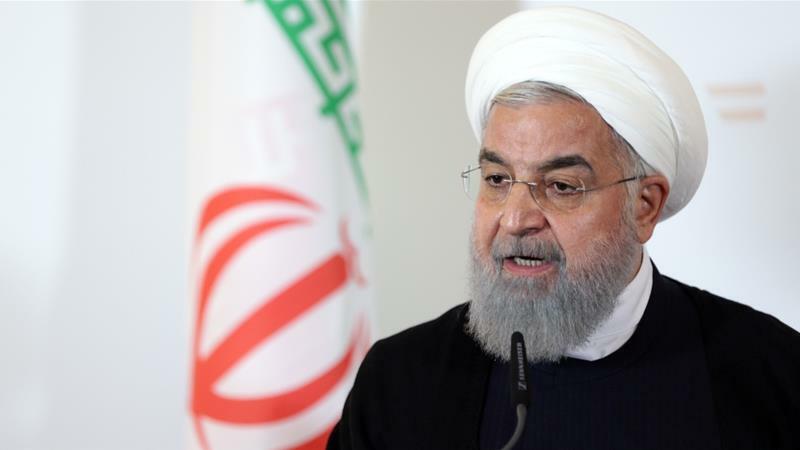 Iranian President Hassan Rouhani has pledged his country will stand firm against threats by the United States to halt Iranian oil shipments. * * * In a statement on Wednesday, Rouhani warned of the consequences of such a move. "The Americans say they want to reduce Iranian oil exports to zero... It shows they have not thought about its consequences," Rouhani was quoted as saying by state news agency IRNA on while on an official visit to Vienna. His remarks come hours after a spokesperson for the US military promised to keep Gulf waterways open to oil tankers. A day earlier, Rouhani had issued similar comments, saying Iran could disrupt regional exports if it stopped from exporting oil after US President Donald Trump in May pulled outfrom a nuclear deal signed with world powers and the European Union. Signed in 2015, the landmark deal was meant to lift sanctions against Iran in return for curbs in its nuclear program. Since pulling out of the deal, Washington has told countries that they must halt all imports of Iranian oil from November 4, or face US financial measures. Iranian officials have previously threatened to block the Strait of Hormuz, a major shipping route in retaliation for any US actions. Other signatory countries are currently with Rouhani in Vienna to discuss how the deal can be maintained. Signatories to the deal, including the European Union, have vowed to keep the 2015 deal alive without the US by trying to keep Iran's oil and investment flowing, but have acknowledged that sanctions would make it difficult to give Tehran guarantees. Rouhani noted if the remaining parties could guarantee his country's benefits that Iran would remain in the deal. "Iran will survive this round of US sanctions as it has survived them before," he said, describing US sanctions as a "crime and aggression". Earlier on Wednesday, a senior Iranian oil official said Trump's pressure on international firms not to buy Iranian oil will drive prices higher and end up hurting the US economy.